The Tank is Greenbelt’s own onsite cafe, serving fresh coffee, speciality teas, gorgeous hot chocolate and a selection of cold drinks and snacks. It’s a relaxing and popular place for festival-goers to take a break, meet friends, catch up on the programme, and charge their mobile phones. 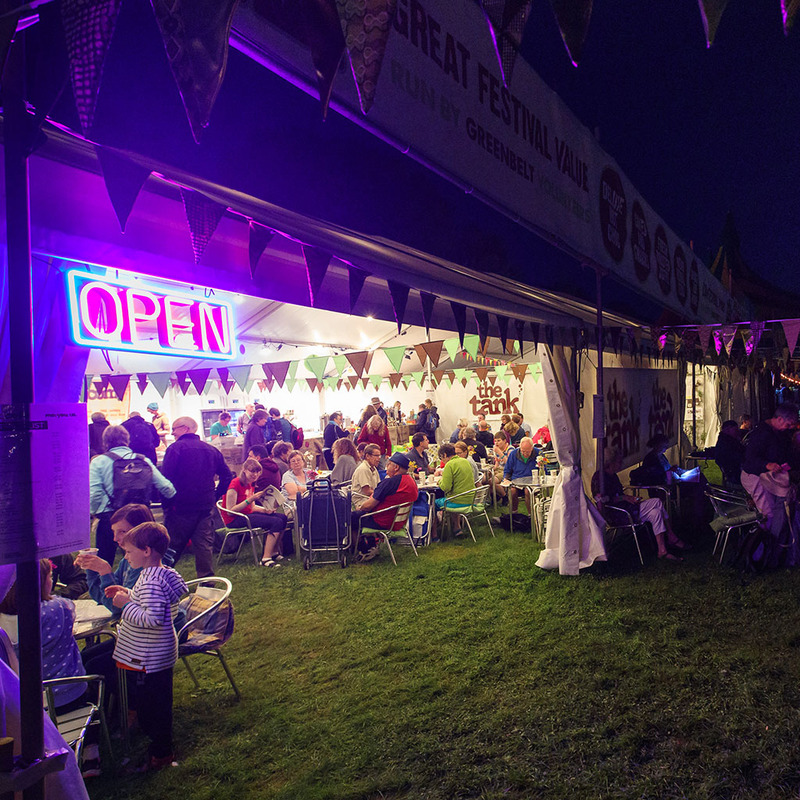 The Tank is Greenbelt’s own onsite cafe, serving delicious hot and cold drinks and snacks – a popular place for festival-goers to take a break, meet and catch-up with friends, relax and charge their mobile phones. Our café volunteers are encouraged to be available for a team briefing at noon on the Friday, and then available to volunteer for a shift each day of the festival. Café Volunteer: This role involves serving wonderful Greenbelters, operating cash tills, clearing tables, and restocking items for sale. You’ll need to learn and adhere to some basic hygiene rules and have a flexible approach. Café Comms Volunteer: This role involves charging festival-goers mobile devices, at busy times it requires being organised. At busy periods, you may be required to help out serving café customers, clearing tables and washing up etc. Café Manager: This role involves overseeing the café area of the venue and enforcing hygiene rules, as well as serving the festival-goers themselves. You will manage other café volunteers and, if café-related problems should occur, be responsible for decision-making. You will also take and manage any appropriate action to ensure that the venue continues to run and serve to the best of its capacity.